The Tesla Powerwall was the big energy storage news item of last year (though it didn't meet with universal acclaim). Technology Review had a good summary at the time of what Tesla was looking to achieve - Why Tesla Wants to Sell a Battery for Your Home. 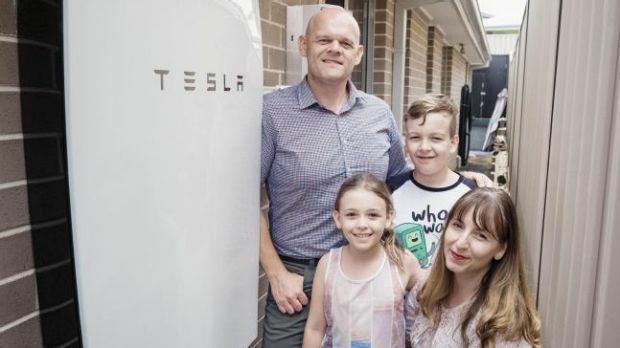 The ABC also has a good explainer from earlier this year on the economics of the Powerwall in Australia - Explained: The Tesla Powerwall and what it means for Australia's energy market (drawing from this analysis by Choice - Powerwall payback). Tesla is apparently looking to launch a new version of the Powerwall mid-year - in the meantime RenewEconomy reports that they have stopped selling the 10kwh model of the original version - Tesla quietly removes 10kWh Powerwall back-up battery storage option. The primary use case for home storage is daily cycling, also known as peak shaving, which can be applied a few different ways. The primary reason for the product existing is to store up solar energy made from customer panels during the day, which can then be used at night. In markets with net metering, there is no financial incentive for doing this. In markets with no net metering regulation, Powerwalls — and residential battery storage in general — could be game changers. GreenTech Media has a report on Tesla's efforts to drive storage costs lower as the Gigafactory nears completion - How Soon Can Tesla Get Battery Cell Costs Below $100 per Kilowatt-Hour?